Toothaches may be caused by a variety of problems such as dental cavities, gum diseases, exposed tooth root, a cracked tooth, and others. 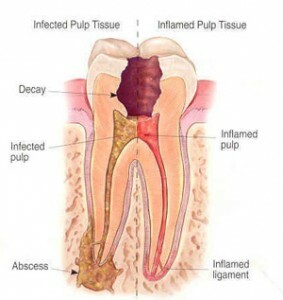 The most common cause of toothache is tooth decay caused by bacteria in the mouth. Tooth decay does not happen all at once as it take months for bacteria plaque on the surface of teeth to dissolve its way through the tooth enamel before it reaches the areas where pain is triggered – dentine and pulp. The more refined carbohydrates and sugar intake in your diet, the higher the risk of your teeth getting decayed as bacteria thrives on sugar. Pain from a toothache can vary from mild to severe and from sharp and periodic pain to dull and persistent depending of the severity of the infection of the tooth. In most cases, eating hot or cold foods can produce more pain and sometimes tooth pain can also spread to other areas. 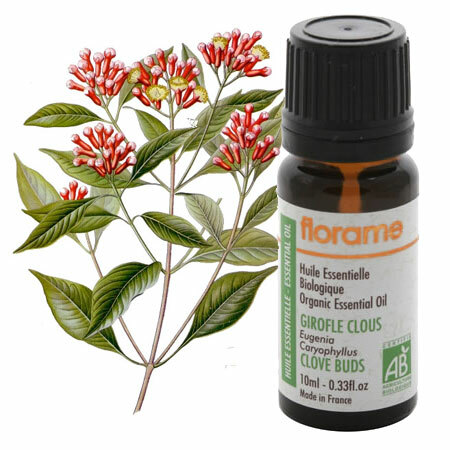 Clove oil is a time-honored remedy for toothaches with its local anesthetic and antiseptic properties. Place a drop of clove oil directly on the crown of the affected tooth and dab another drop on the gum around the tooth to ease toothache pain until you can see your dentist. You can buy over-the-counter preparations of clove oil and the oil is placed directly on tooth, not ingested. You can also mix ½ teaspoon of goldenseal powder, 1 drop of clove bud essential oil and 2 drops of chamomile essential oil with a few drops of water until a thick paste forms. It combines the pain-fighting components in clove bud oil with the infection-fighting ingredients in both chamomile and goldenseal. Dab into the affected area with a cotton-tipped swab. Apply not more than four times per day until you can see your dentist. Tea Tree Oil – Rinse teeth with gargle mixture by adding 3-5 drops of tea tree oil to a mouthwash. A small amount of aloe vera can be rubbed directly onto infected tooth. It is wise to note down that you should never swallow tea tree oil and you should rinse your mouth with fresh water thoroughly to make sure no tea tree oil residue is left in the mouth as ingestion may lead to side effects. Garlic – Like clove, this common kitchen remedy is a powerful bacteria-fighter. Simply bruise a clove of garlic and hold it next to the infected tooth. Exercise caution when garlic is used for it is quite strong and can cause skin irritation. Turmeric – Used in many natural tooth products, this bright yellow spice has anti-bacteria and anti-inflammatory properties. It also stimulates blood circulation, which helps bring more immune cells to the site of infection. You can mix a teaspoon of turmeric with enough water to make a paste and dab it on the sore tooth. Ginger or Red pepper– A compress made with these hot spices seems to help alleviate toothache pain. They act as a counterirritant, meaning the surface irritation of the spices helps to diminish the deeper toothache pain. In addition, red pepper contains salicylates, aspirin-like chemicals that can provide pain relief. To make a compress for your tooth, mix the powered spice in enough water to form a gooey paste. Then dip in a small cotton ball and wring it out. 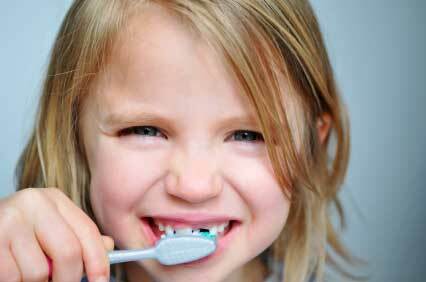 Apply the cotton directly to tooth without letting it touch your gum. It is important to note that all toothache remedies are only meant as temporary toothache relief until proper medical or dental treatment is given. Brush thoroughly twice a day (preferably in the morning and before bed) using a soft-bristle toothbrush and clean between teeth daily in areas where your toothbrush can not reach with floss and mouthwash. Replace your toothbrush every 3 months or sooner if the bristles begin to look worn out. Eat a well-balanced diet and restrict sugar-containing foods to mealtime. Cut down on carbonated soft drinks. Do not smoke or use tobacco and avoid alcohol abuse. Visit your dentist regularly (at least twice a year) for a professional cleaning and examination of your mouth. It is best to visit your dentist when your tooth starts aching to diagnose whether the pain is directly coming from the tooth or from somewhere else. If the toothache is overlooked, the underlying cause of pain may rapidly progress to the point where more extensive treatment becomes inevitable or even worse, where tooth loss results. Who does not know the recipe home MOM to relieve pain. But we cannot indicate are medicines that are used to control pain and these include painkillers that are obtained without a prescription, i.e. are over-the-counter. Which include aspirin, ibuprofen, acetaminophen and naproxen. Painkillers are used to soothe pain, lower fever and reduce inflammation. Also there are prescription drugs that are helpful to relieve severe or moderate pain. I remember a few months ago I went to the dentist and had severe pain in the molar and the first thing that gave me was vicodin for pain control. After to me the tooth I prescribed for five days with this same medicine because the pain felt was intense. Search for information and in Findrxonline indicated that the prescription was chronic or severe pain and should be careful with its side effects. The good news was that the only doctor the prescribed me for five days and not felt any change in me.